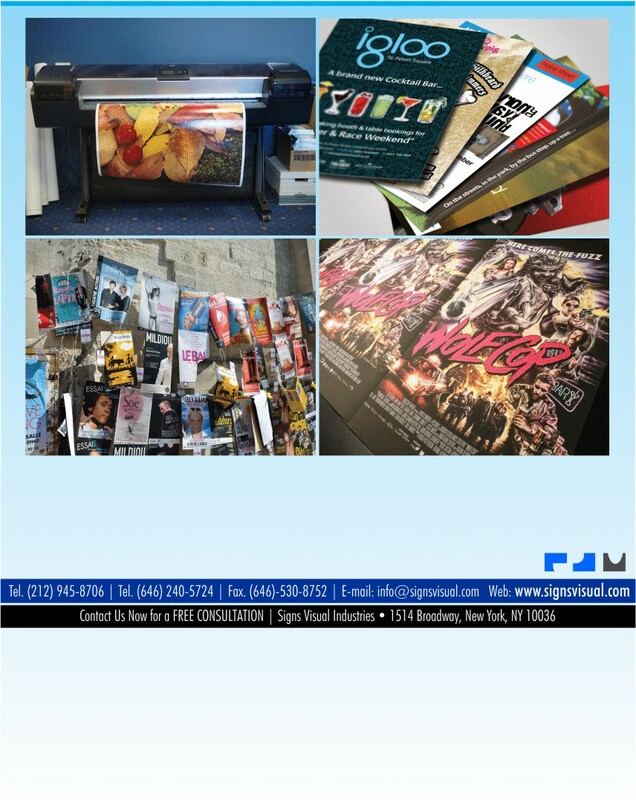 Signs Visual prints custom designed posters and poster signage in New York City. Our high-resolution digital printed posters are perfect for promotional and advertising purposes. These type of graphics are typically used in interior settings, but can be laminated to be used outdoors. Printed poster papers are available in satin, matte, luster, and glossy finishes. Contact Signs Visual today for your next poster print project in NYC!